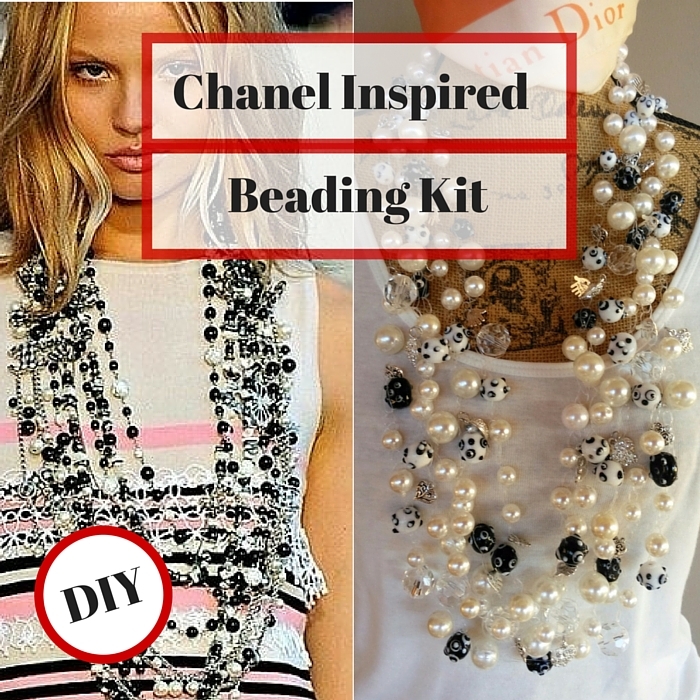 Beading Tutorials | The Twist from a Twisted Sister! The Twist from a Twisted Sister! 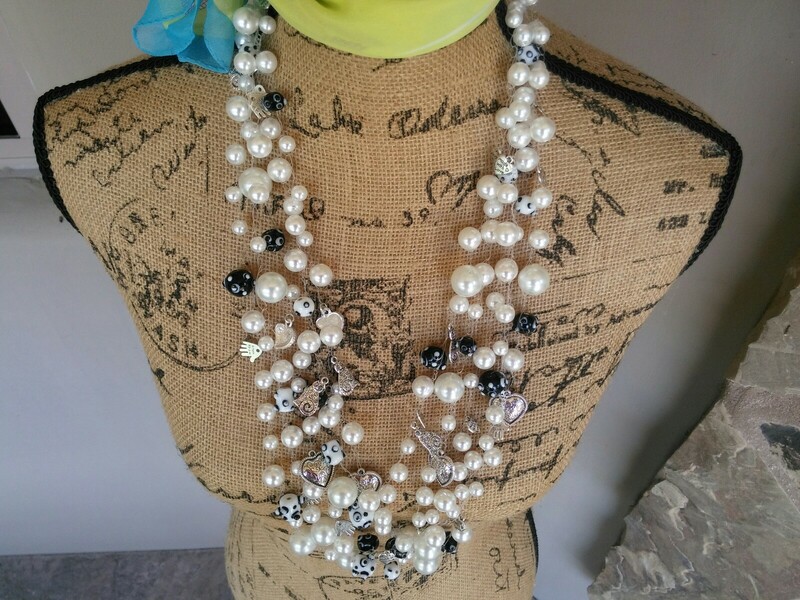 A friend of mine asked me to create a necklace from a Pinterest Pin she found that she really liked. I’m always looking for new ideas and things to create so I was all in. Per usual, I had to order some new beads which we all know was totally unnecessary. 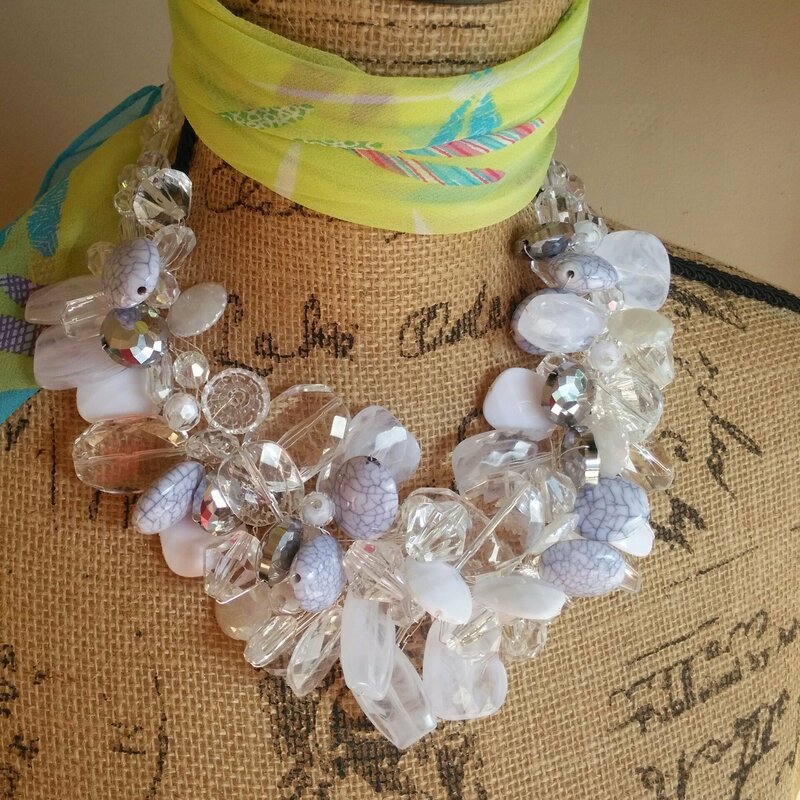 But buying beads before a creative process is like stretching before running. Here is my new design or is it? So what’s the problem? A few days before making the necklace, I was cleaning out some drawers and came across this card my niece sent me years ago. Is it just me or did I copy her design? Carol the Human Copy Machine. Back in the Dark Ages I did work for Xerox. Just sayin! Here is another version. Let me know if you like it. PS If you know of anyone who might enjoy this romp, please sign them up HERE! Sometimes the stars are aligned…. I am fortunate to live in a community that still likes to entertain. That’s the good news because there is nothing more satisfying then going to someone’s home to enjoy the warmth and hospitality of good friends. But with that joy comes a tad bit of responsibility. The perfect Hostess Gift!!! So that got me thinking about the best gifts I have received. Every single one I remember are the gifts I still use today. Twisted Sister Alarms go off. What if I make a Twisted Sister Wine Cuff/Bracelet to Bling up a bottle of wine? Viola! Here are just a few. The icing on the cake was when I Googled Perfect Hostess Gifts and found Hostess Gifts with a TWIST Click HERE and take a peak. I know I’m prejudice buy I happen to like mine best. What do you think? PS If you know of anyone who might enjoy this romp, please sign then up NOW! You Could Ruin Ice Cream! Now that’s just NOT NICE!!!!! Last week I asked you for your opinion on the marriage of a couple of my jewelry techniques. I thought I handled the negative comments quite well. I actually giggled at the Bleck comment and laughed out loud at “I don’t want to look like a badly decorated Christmas Tree”. So not to be out done, I kept at it and came up with a brooch design I really liked. I showed it to a friend who shall remain nameless as many of you know her. (Don’t worry she is not seeing this post.) Her comment RUINED it for me. Being the mature person I am I told her she could ruin ice cream on a hot day. Here is my creation. She said it looks like a Smashed Tarantula!!! Sorry to my dear friend that got it as a birthday gift. 😦 What Say YOU!!!! Please let me know what you think of my newsletter layout. and we all have one but I really need yours, your opinion that is. My time the last month has been dedicated to something I really don’t enjoy (you’ll know soon) but it had to be done. Essentially this task has sapped the last of my creative energy just when I need it the most. Christmas is right around the corner and every online retailer is gearing up their inventory and their advertising etc. So I walk into my studio and all I see are piles, and I mean piles, of beads and sari ribbon. I have confessed earlier that my solution to a lack of creativity is to stock my stash. Well, I’ve been on steroids! Patti our Postal Carrier now just grunts at me when she use to smile. So here is where you come in. I have married my two latest loves, The Twisted Sister Technique AND Sari Ribbon. Please let me know if you think it works together. You have been so helpful in the past and I need a little encouragement OR constructive criticism. If you purchase any of my jewelry I will make you a pair of shoulder duster earrings as a thank you. Here are two of the designs in question. Can’t wait to hear your thoughts. PS If you know of anyone who might like this romp please sign them up HERE! Productivity Tips – Better Late Than Never! I am launching a new e-commerce website, creating a new line of Twisted Sisters, Selling in a lovely store in Vermont, teaching at a new studio this season.. Blah, Blah, Blah. Needless to say, I am not feeling very productive so I found this article on PureWow enlightening and I hope you do too. If you’re short on time make sure you read the last one! We all have that enviable friend, (not me) who somehow gets everything she needs done yet never seems like a massive ball of stress in the process. She’s simply a highly productive person. And you can be one, too, by stealing some of these seven secrets. 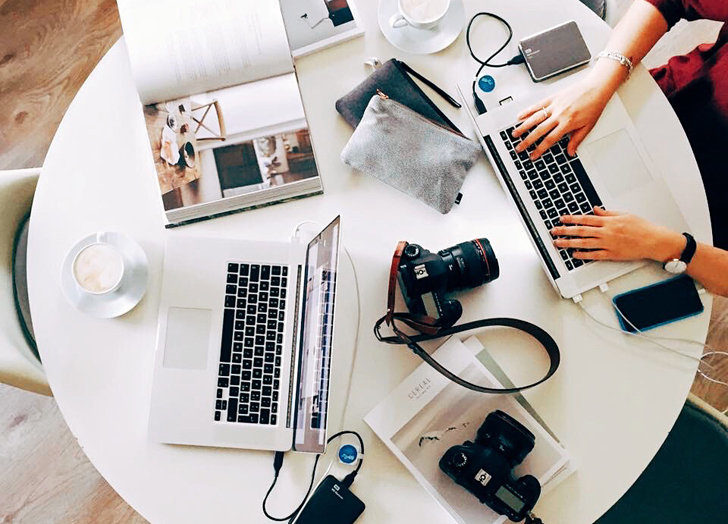 According to a study at Stanford University, people who multitask “do not pay attention, control their memory or switch from one job to another as well as those who prefer to complete one task at a time.” Focus on one thing and complete it before moving onto the next. It’s not easy, but when you have a ton of stuff to do already, saying no is necessary. It’s about knowing your limits: If an extra task is going to push you over the edge, deny it in a polite but firm way. You don’t want to come across as rude, but you also don’t want to overload yourself and hinder your overall progress. This could mean starting a carpool with your neighbors and their kids to clear up time in both parents’ schedules or assigning part of a presentation to a colleague who has a little more time than you do. The sooner you delegate, the sooner you can refocus on your most crucial responsibilities. Productive people value a job well done, but they aren’t obsessive about everything being flawless–nor do they agonize over every little detail, which slows down the entire process. Let things go, learn from imperfections and adjust your routine accordingly. Being truly productive requires firing on all cylinders, and to do that you have to be at your best. That means getting enough sleep and living a healthy lifestyle where diet and exercise are concerned. Listen to what your body tells you and prioritize your health and happiness. Quality and quantity of time, that is. The most productive person in your office might be the person who spends the least amount of time there. It’s not about how long you work; it’s about how much you get done. Train yourself to have only a finite amount of time for something, and you’ll soon adjust your approach to finishing tasks. Just as productive people aren’t perfectionists, they also don’t measure themselves against others. It takes too much energy away from their own responsibilities. Instead, put your head down, do your own thing and don’t worry about what anyone else is doing. I did find time to create two new beading kits. Visit me at: BlingBeadedBaubles.Zibbet.com PS If you know of anyone who might like this romp please sign them up HERE! I am home visiting my family and of course I am making Jewelry with my mom and my dear friend Sandy. My 89 year old Dad, Bob hates to be left out! He sits down and I teach him to make a Twisted Sister. Can you believe it!!!!! He is modeling his handiwork. I guess it is now a family affair???? Use Coupon Code: Bob20 for a 20% Discount. Tell your friends! Enter their email HERE! Noodling around Pinterest and Whoa! I’m minding my own business and noodling around Pinterest …. When I come across this picture of Princess Sophia at a Royal wedding. Please tell your friends and sign then up HERE! Let’s chat again soon! Just Karl and Me Baby! While I was home visiting my folks, I picked up some beautiful Lampwork Black and White Beads from this cute consignment shop. What to do? What to do? As many of you know, I am drowning in pearls (Thanks to my fashionista Chanel crazed friend…) so I set to work on a crochet design. I can hear you…What, not a Twisted Sister? Even I need a change. Noodling and nothing inspires me. Then, I think to see what Karl has in store for his latest Chanel Collection. Take the Chanel Creative Journey with me. So then I am thinking, why not let my DIY Friends make their own. So I made a kit! But then I see this…..
I’m having one of those days where I am feeling kind of overwhelmed or maybe it’s underwhelmed. A blogging friend of mine sent me here latest successes with her online store and her blog. It got me feeling very happy for her but a bit down about my own lack of impressive progress. This online stuff is far from easy sledding. The amount of things you need to learn is staggering and it keeps changing by the day. One webinar tells you to do this and another says that’s one of the biggest mistakes you can make. Just shoot me! Okay, whining is over. It got me thinking of this old parable I’d like to share with you with the hopes it will make you smile and maybe brighten your day. 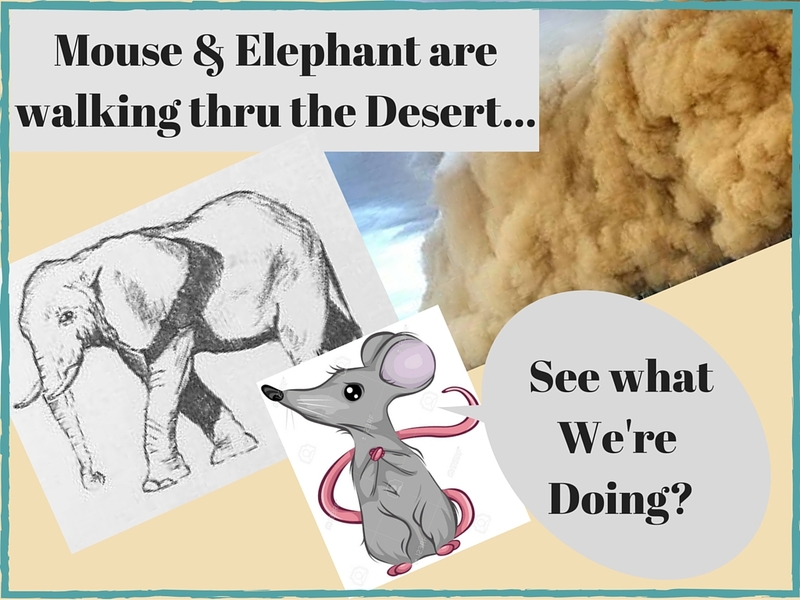 A mouse and an elephant are walking through the desert throwing up a huge amount of dust. The mouse turns and looks back and says to the elephant, “See what We Are doing?” There is more than one moral to this story but I’m choosing to hitch my wagon to positive momentum. I hope you have enjoyed my brief attempt at cartooning! Tell your friends! Enter their email HERE!